It was a few weeks before my junior year of high school, and the cross-country coach was calling to ask if I’d be interested in going out for the team. I told him no. Growing up in northern Minnesota, the sport most revered was hockey, and from the age of 6 that was my game. Every tiny town on the Iron Range had a rink and a team, so winter weekends of my childhood were spent on the ice. In my first year of high school hockey, however, I quickly realized that I was significantly undersized. While my teammates and competition grew into their post-pubescent “man bodies,” I was still stuck in my scrawny middle-school-ish frame. Instead of bulking up, I decided a better course of action was to speed up. The goal was to out-skate the opposition, instead of trying to out-muscle them. So that summer I resolved to get into better shape. I cut out most of the junk food and decided to start running. Two of my close friends were runners, competing on our school’s cross-country and track teams. One day early in the summer I asked if I could join them on one of their training runs. They skeptically obliged and we agreed to meet in the evening for a jog. The plan was to go for an “easy” three miles. Halfway through this “easy” run, my heart was pounding, my lungs and legs were burning, and my nose was bleeding. This wasn’t a sport, it was torture. By the end of that summer, I was running with them several days each week, slowly gaining increased leg strength, lung-capacity, and confidence. Come mid-August, my running partners abandoned me for the proper practice of the official cross-country season. I figured my running career was over. Mr. Ward was a legendary coach at Mesabi East High School. Every one of his cross-country teams had made it to the state meet. When I was in middle school, they took home the championship. He’d heard that I had been running all summer and called me up, insisting that I join the team. I told him I wasn’t interested, stressing that I’d only been running to get in shape for hockey. He said “no problem,” but suggested I keep it up, only with the team--at least until the hockey season started. It seemed like an ok idea, so I drove to the high school for practice that morning. Little did I know this would be the start of a lifelong love of running. That first year we brought home another state championship. I was just an alternate on the state squad, but being a part of something so great had a big impact on me. Running became my identity. I never did go back to hockey. 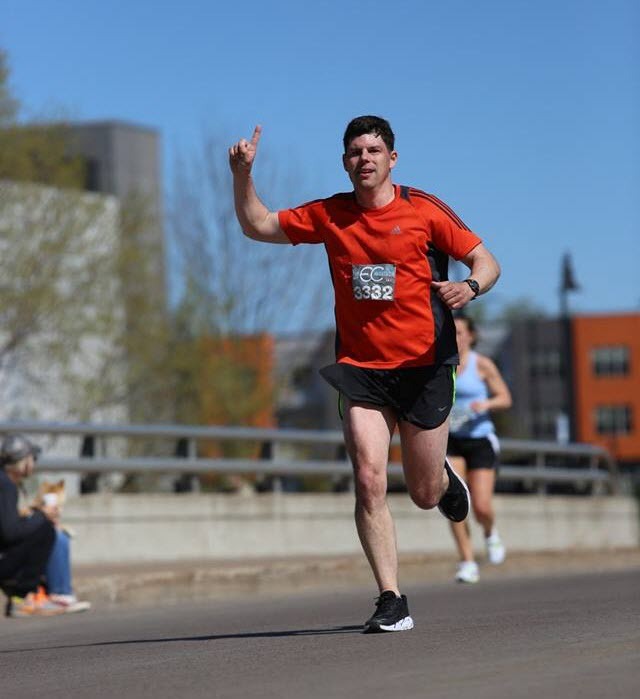 As a distance runner, completing the marathon is the pinnacle. And Grandmas Marathon specifically holds a special spot in my heart. 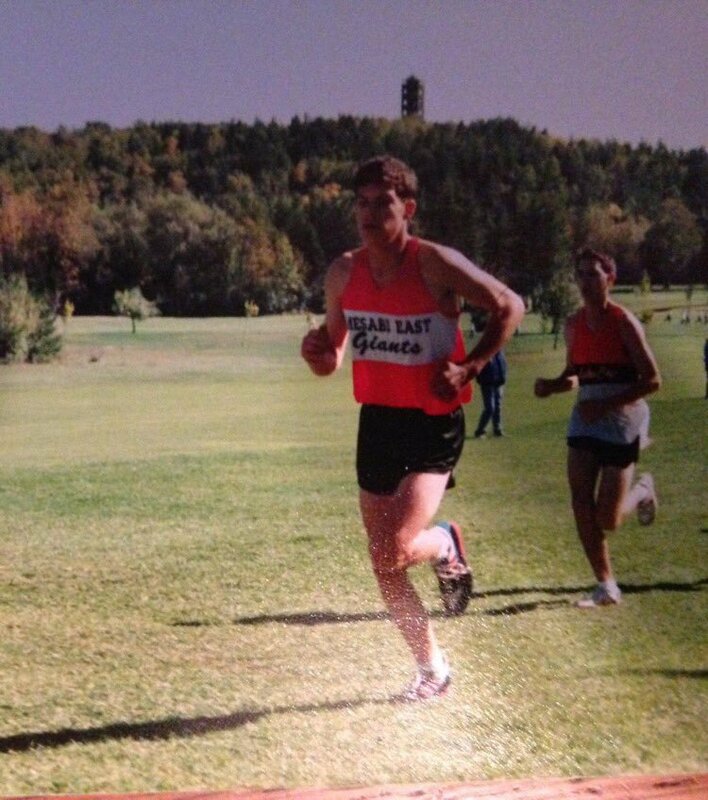 Learning to love running 50 miles north of Duluth and running competitively right across the lake at UW-Superior, it had always been at the top of my list as something I wanted to accomplish. I’ve run the half-marathon at Grandmas a few times and have supported several marathoners over the years, including my father and sister and several friends. I’ve even attempted the marathon three times previously, each effort getting a bit closer to race day before succumbing to injury. Last year it was a re-aggravated hip on a 16-miler just weeks before the main event. The time before that it was my bum knee. Being injury-prone is likely a consequence of approaching running from a hockey player’s mentality: push hard and ignore the pain. I could get away with that in my younger years, but by the end of college, my body was beaten up pretty badly. This year I trained smarter--not harder--intentionally running fewer days each week but weaving more cross-training and stretching into my regular routine. For the first time, I can clearly see the starting line before me. As I ponder the pot-holed path that brought me to this time; this place; this experience; I’ve come to realize that my efforts, or at least my initiative, in this journey were minimal. Others guided and carried me to this opportunity to achieve my ultimate running goal. Coach Ward had a saying back in the day: “If it’s to be, it’s up to me.” This stressed the individual effort—both physical and mental—required to be a successful runner. But he always followed this axiom by reminding us that we were part of a team. And if we were going to be successful in competition at the highest level, it would only be as a team. Now in my fortieth year, I walk up to the starting line of my first marathon, Grandmas Marathon, with a newfound appreciation for the journey itself. Life, like running, involves unexpected highs and unanticipated hurdles. Sometimes you’re in control of the course, other times you’re just along for the ride. Sometimes it’s just enough to put one foot in front of the other in an effort to keep moving forward. Or at least that’s my plan for Saturday morning.